Held under the patronage of HH Lieutenant-General Sheikh Saif bin Zayed Al Nahyan, Deputy Prime Minister, and Minister of Interior, UAE, supported by the Arab League of E-commerce and organized by Terrapin, Seamless Middle East 2018 offers some amazing pricing for innovative ideas. 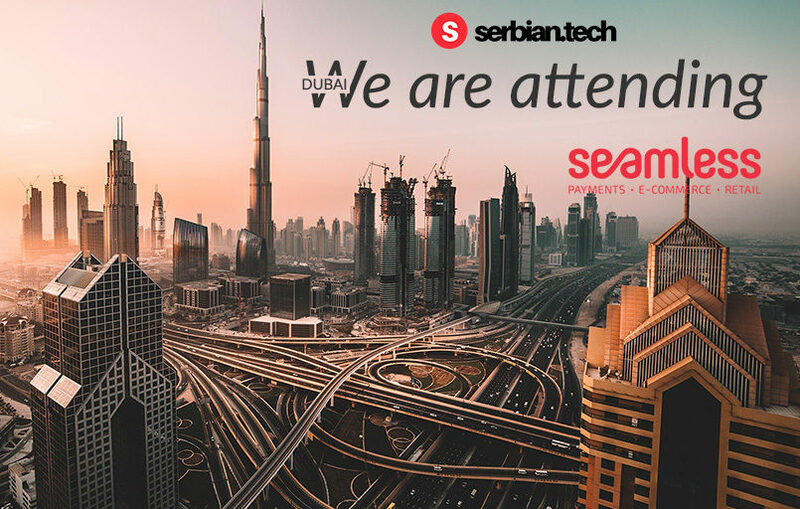 Serbian.tech accepted the invitation from the organizer and will present young domestic IT company with the goal to position on the global market. Expecting to gather over 10,000 attendees and professionals from the e-commerce, retail and payment industries. Attendees will have a pleasure to hear over 300 global and regional experts in their areas, to exchange ideas, discuss best practices and review trends, and accommodates 350+ exhibitors to showcase their products. Seamless Middle East, payments, fintech, e-commerce, and retail exhibition became a name known for the exhibiting companies, vast of attendees and will be held as usual on April 15-16, 2018 at Dubai World Trade Center. Hosting a “Startup Pitch off”, 5 to 10 fintech and e-commerce startups will have a chance to pitch their product to an expert panel made of VC’s, funds, and consultants. With the budget of up to $500.000, this is a great chance to convince the investors to fund their idea. Application deadline is April, 1st. The conference features great keynote talks and panel discussions as well as, Blockchain:Connect, LEAD Summit, AI Workshop, tomorrow’s e-commerce purchase experiences, the age of omnichannel, virtual commerce, supply chain, and customer loyalty programs among others. Hear and learn from some of the top minds in fintech, payment, retail and e-comm world on these great sessions.